THE POWER OF AFRICAN PROVERBS | Thoughts of a Calabarboy. 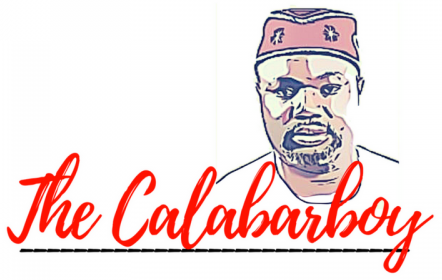 THE POWER OF AFRICAN PROVERBS – Thoughts of a Calabarboy. I have sat through merciless lectures on philosophies, concepts, paradigms and have tried to unravel the zeitgeist of European or Western minds, all to still be wanting in the basic understanding of my own people and their customs. The ideas we spend time studying back in school and even today, subtly, in the books we read, are all like one taking a medication to treat another man’s headache. Whereas we have our own medication in the ideologies of our traditional proverbs, we have abandoned them and now look like orphans in global circles. So we have set off to scavenge on foreign convictions to treat our local predicament. If my friends can not do the eating to assuage my own hunger, because only me can feel the grumblings of my stomach, how then do we assume that we can build our houses on other people’s foundations? The internal configurations of any given society is determined by its history, culture, and geography. Thus to understand such people, you must necessarily look through these stated factors. So also is the process of identifying what raw materials must be employed in building the foundations for a sound society devoid of contradictions that clog the wheels of progress. Of course one should be wary of the quality of materials used in constructing a lasting national identity, because foundations matter, and this is what I believe we must have a rethink on the way we have built our so far. There is nothing wrong with looking outside to understand inside, but there is no truth higher than the fact that powdering your face does not stop bad breath. Some issues that belie personal worth are self discovered and self propagated. Thus, in articulating a system that works for our people and ensuring that we engineer a proper mechanism for assimilating genuine values in our present and coming generations, we must be bold to collate and document the wise sayings of our people. We must build the conceptual framework of progress in every facet of our community: governance, relationships, education, family, etc. on these invaluable philosophies which have been captured by the sages in our history. I am of the opinion that the minutiae of our value system should be founded upon laid these laid down conceptions like the Indians, Chinese, Greeks, and Arabians have all done. This proverb may evoke jocular responses and discussions, but there is no overstating the fundamentals of this statement. I actually saw a young man who was so enamoured by the life of a renowned expert to the point that he followed closely on the habits of the man. Unknowingly to him, his capacity to manage such high level scheduling was limited and he only realized, after experiencing a breakdown, that he ought to have first dealt with the details of hard work before launching into the dangerous waters of an active work life. This, as evident on this individual platform, is very obvious at the State level. Nations have sought to implement the successful ideologies of other nations to their own detriment. Those nations, like the Monkey forgot that others had a throat of steel which could not be cut or broken, thus committing suicide by attempting to ape others. I give a classic example in many African nations of the sweet but noxious waters of Capitalism. While Adam Smith’s idea has arguably created a good life for many Western nations, the rush to adopt this system in many African countries has created the extremities of wealth and poverty. While capitalism itself is not an evil harbinger, those courting its provisions must be sure that internally, such structures that ensure its success are well entrenched. This Zulu proverb therefore guides our thinking in knowing the frequency of adapting foreign ideas to our local needs. As I am writing this note, I am sitting here in conference room four in the UN building at New York and listening to representatives of countries adopt a common policy on the prevention, combat, and eradication of illicit trade in Small Arms and Light Weapons. Iran is proving a tough negotiator by delaying the consensus and this is evoking responses of rationality from some States for Iran to see reason. Suddenly my boss, representing the Nigeria and the Africa group takes the floor and suavely declares to all: “My people say that goat meat is sweet but takes long to roast. So while we are roasting it, what will the children eat?” In a powerful swing of events, that statement swayed the entirety of the delegates to sing in one voice against Iran. After the meeting so many throng his seat to express the love for his wise sayings, and frantically adjusting his ‘parachute’ (babariga), he struggles to shake all the hands being stretched towards him, while keeping a line of African delegates waiting to discuss further. Please don’t tell me African proverbs are obsolete or shallow, for with it I am carving a path to a fresh understanding of the world around me, and I am so determined to inspire those around me to “look to the rock from whence we were hewn.” In the words of a Ghanaian proverb: “se wo were firi na wo san kofa a yenchi”, which literally means “it is not taboo to go back and fetch what you forgot”, I am going back to my roots to seek the basket of wisdom God has so heavily endowed us with. For so my uniqueness and true contribution to a new and meaningful living will begin. → NIGER-DELTA: A CIVIL WAR IN THE MAKING?